For the last 45 years, the UNB/STU African Student Union has been promoting cultural awareness at UNB, STU and within the Fredericton community. They are continuing this tradition with this year's African night event, L'Afrique Enchantée (Enchanted Africa). The UNB/STU African Student Union is hosting an exciting display of diverse African cultures through food, fashion and live entertainment. 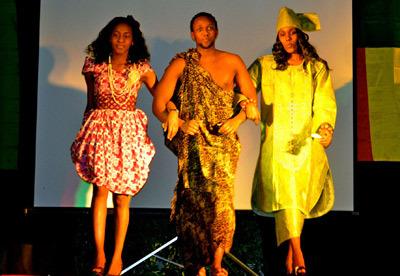 L'Afrique Enchantée will take place on Saturday, March 9, 2013, at the UNB Student Union Building. Doors open at 6:30 p.m. and the show starts at 7 p.m. Guests will be treated to a wide array of African dishes, red carpet photos and exciting performances. Tickets are $15 for adults, $12 for students and $6 for children and can be purchased at the Multicultural Association of Fredericton, UNB Student Union Welcome Center, STU Student Union helpdesk, Campus convenience store and the Friendship convenience store (606 Albert Street). Everyone in the community is invited to come experience an entertaining display of diverse African cultures through food, fashion and live entertainment. For more information, contact asu@unb.ca or (506) 999-4752.